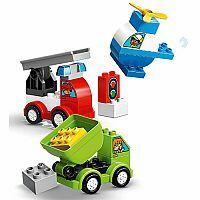 Preschoolers will love to build and rebuild colorful vehicles with LEGO DUPLO My First Car Creations. 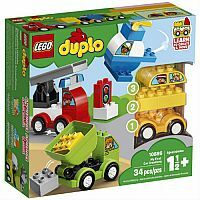 Help them sort the colors to build a toy helicopter, taxi, garbage truck and Fire Truck for toddlers, or mix up all the bricks and create endless easy-to-build car creations together by combining just a few chunky DUPLO bricks, developing fine motor skills as you go. 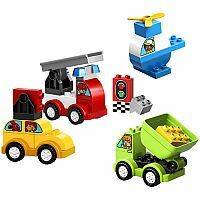 This toddler toy car set is great for developing imagination as preschoolers learn to create and move with classic car play. DUPLO bricks are specially designed to be fun and safe for small hands. 34 pieces. 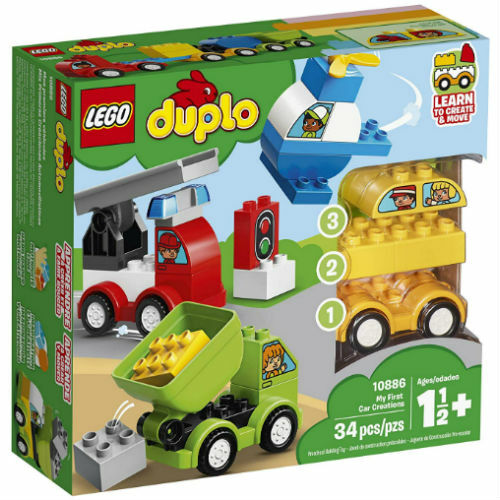 Ages 1.5 years and up. Measures approximately: 11.00 x 10.25 x 3.50 inches..